The Groundskeeper Checklist: Documenting The Good, The Bad and the Ugly ! One of the most important things any grounds crew can do is maintain a groundskeeper checklist (or checklists) during the playing season to document all of the difficulties, issues, and successes that occurred. These checklists allow you and/or your successors to avoid repeating the same mistakes and make better decisions. One of my biggest pet peeves as a stadium assistant was when we would have an issue with an on-field event that had also occurred the season before I had arrived, like (WHAT? You’re telling me the firework show last year damaged the left field turf? Why did that happen? Did we ask the pyrotechnics to move their location? Did anyone tell the front office?) Having the capability to document all events – good, bad and ugly – is critical. 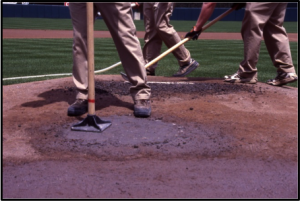 In an earlier post, “The Real Cost of Sports Field Maintenance Products“, Paul Zwaska shared how using the most expensive professional-grade clayon their Little League fields actually kept the pitcher’s mound and batter’s box in much better shape, and with less costs. The better grade clay reduced the damage to the clay areas by 70%. By the end of the season, they found they had used 50% less clay. By having documented what the fields used year-to-year, the grounds crew was able to discover that using the most expensive product actually a sound financial decision – AND the high-grade clay provided a better playing surface for the players. Weather conditions and how they impacted the fields and budget. Gathering some information is better than not having any information at all. What information do you track? Do you use spreadsheets? A clipboard in the equipment shed? We’d love to hear your best practices – either share in the comments below or send an email to info@beaconathletics.com. 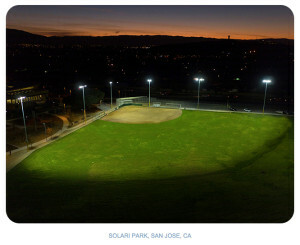 Qualite Sports Lighting’s Q-LED System™ is First LED to Light A California Rec & Park Sports Field ! The Q-LED System by Qualite Sports Lighting was chosen to replace an old metal halide system at Solari Park in San Jose, CA. Qualite’s energy efficient Q-LED System was chosen to be the first LED retrofit project for any California Rec & Park field lighting project. Solari Park officials worked with Qualite Sports Lighting to find an energy efficient and budget-friendly solution to provide much needed lighting for their project. By using their existing poles, Qualite was able to replace the old metal halide fixtures with 22 – 1000w LED fixtures, increasing light levels and reducing energy and maintenance costs. Because Solari Park is located in an urban area of San Jose, light cut-off was a feature necessary to neighborhood acceptance. The Q-LED System is prewired and pre-aimed to strategically direct light onto the field, and away from surrounding neighborhoods. 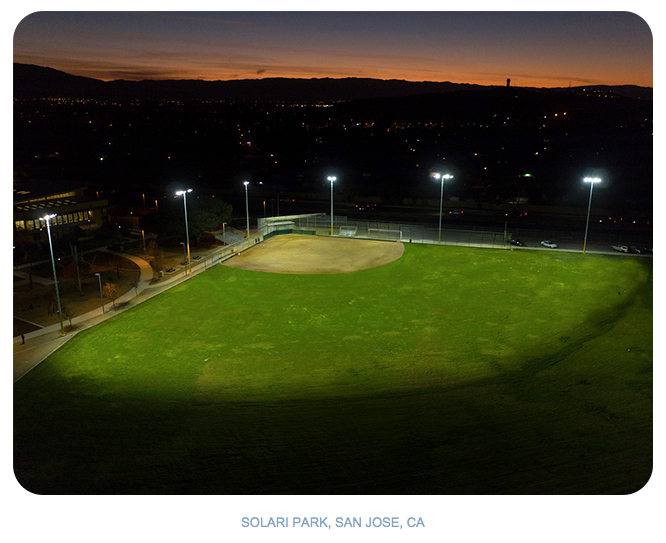 Mike Tonis, Qualite Sales Manager, states, “This project really highlights the suitability of LED for Rec & Park Fields. Solari Park is a perfect illustration of how Qualite’s Q-LED retrofit can be a perfect lighting choice for community budgets, both for energy efficiency and maintenance-free ownership. 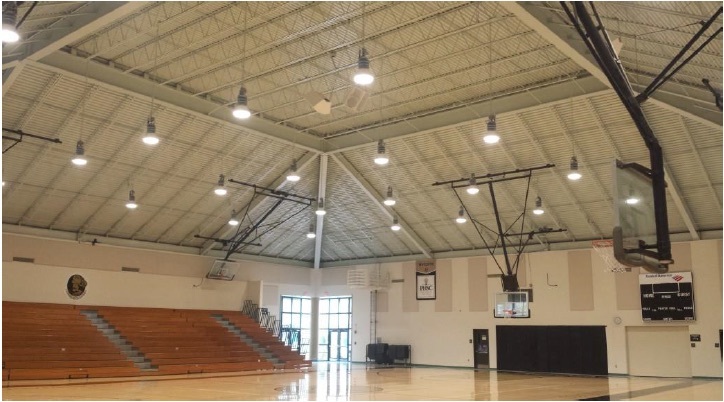 Qualite has been the Sports Lighting Partner for High Schools, Colleges, Parks and Recreational Departments, and Minor and Major League Professional Sports Franchises for 30 years. In addition, Qualite has partnered with an LED Manufacturer to provide the highest quality LED technology systems for sports facilities, including the host stadium to the 2015 Super Bowl, as well as High School, College and Park & Rec Fields across the US. Qualite’s Q-LED System is the most Energy-Efficient, Highest Lumen Output LED Lighting Solution in the Sports Lighting Industry. El Paso County to vote on Sportspark project Monday ! EL PASO, Texas – El Paso County commissioners are expected to vote on Monday for the county’s Sportspark Construction Project. Commissioner Carlos Leon expects to sign Jordan Foster as a new contractor next week. The project has been on hold after legal issues with the former contractor and architect. Leon said once votes are complete and Foster signs the contract, the park should be finished in three months. “I’m very hopeful that it’ll be completed in time for the new season in April. I just feel very good about the direction the company is going, and that we will finally bring finality to this project,” Leon said. During Monday’s meeting, county commissioners will also discuss legal issues in relation to the project. SODA Welcomes New Board Member from Ohio ! 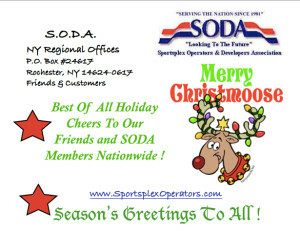 New SODA Board Member Elected ! Dave Maury, from Harrison Ohio, has been around competitive sports all his life and the game of softball in multiple roles, among those roles running two of Cincinnati’s finest privately owned and operated softball parks for 30+ years. Since 2001, Dave has been the Operations Manager at Mid-America Ballyard in Cincinnati, Ohio where he oversees a four field complex that includes a full concession stand, and bar restaurant. 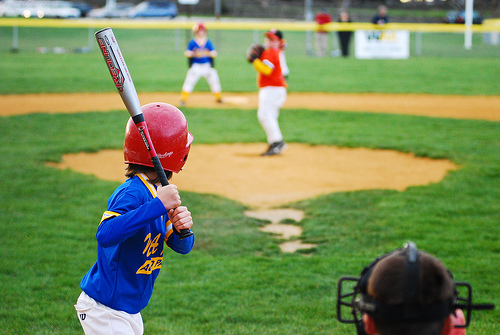 The facility hosts numerous adult, slow pitch, girls fast pitch, boys baseball, and several charity events throughout the year. 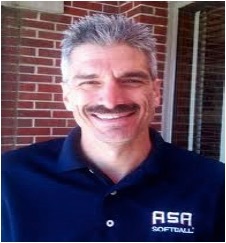 In addition to his duties as Operations Manager, Dave serves as the USA/ASA Cincinnati Commissioner and also is the owner operator of DCM Sports. When not involved with sports, Dave enjoys traveling, country music and reading. Dave’s true passion is pending time with his family and grandkids. Dave and his wife Heather have five children, four grandchildren and another grandchild on the way in January 2016.
. . . . . . . . . . . . . . . . . . . . . . . . . . . . . . ^ . . . . . . . . . . . . . . . . . . . . . . . . . . . . . Cutting Edge Sports Lighting Shines ! Many colleges regard their sports programs as their primary public image. This is absolutely true of Pasco Hernando State College, whose women’s volleyball team consistently ranks high in state and national competitions. It’s no surprise, therefore, that the gymnasium at their main campus is an important facility to the school’s public relations campaigns. But the gymnasium lights had seen better days. Not only did the fixtures look old, the technology was outdated. The existing high bay lights were 400w Metal Halide lights. Metal Halides (a kind of High Intensity Discharge or HID light) emit a good color (about 3000K color temperature), but they take about 5 to 10 minutes to reach full brightness from a cold start. HID lighting is also cannot be dimmed, and if they shut off after reaching full operating temperature, they require a cool down period before they will reignite. The ballasts in many of the lights also buzzed and hummed loudly, which echoed throughout the room. This background noise raised the overall decibel level of non-sports events in the gym, since anyone speaking had to raise their voice just to be heard. Accurate Technologies was contacted to provide state of the art light fixtures. The school’s requirements were specific. As with any LED retrofit, greater efficiency and lower maintenance costs were the goals. They were to reach 100% operational brightness immediately, which is no problem for LEDs. But the lights were to maintain the look of traditional High Bays, there was to be an increase in minimum lighting levels over the existing lighting, and the new lights had to be compatible with a radio frequency controlled dimming system which was supplied by a third party. A CAD rendering of a college gymnasium. The small white dots are the locations of light fixtures within the room. The rectangle on the floor is the basketball court. Lighting levels are important to the client in this application, so we used software to ensure the performance of our fixtures before installation. Accurate’s first step was lighting analysis of the room, completed through a CAD rendering program. 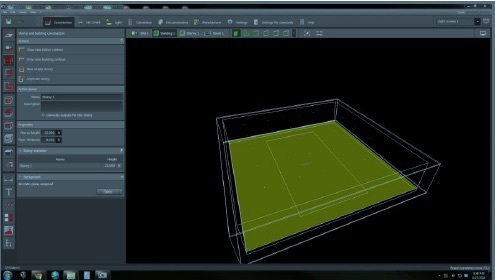 The lighting characteristics of the fixtures were loaded into the program and computer models were generated. We selected the proper fixture which met the requirements, our AT-HB-240W, with the optional dimming capability. These results were supplied to the engineer verseeing the project, who approved them. 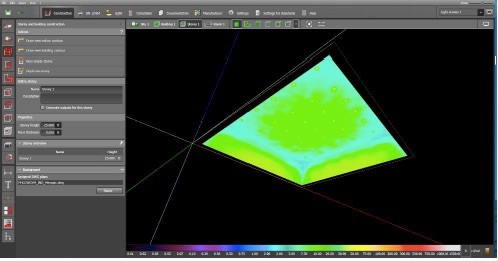 A false color analysis of lighting levels within the gymnasium. This tool allows us to see the patterns created by reflected light from the walls and floor.The gymnasium after installation. 400w Metal Halide fixtures were replaced with 240w LEDs. Over 20 footcandles were gained in the center of the room. As an added feature, our LED fixtures were integrated with a radio frequency controlled dimming system. Now, the user has individual control over the brightness of each light in the room. Different scenes have been programmed for a variety of events. Over the course of two days, the new lights were installed and wired to the dimming modules, and the control panel was programmed to the proper frequencies. Every light now had its own address in the room, with precise control to run each individual light from 0% to 100% with an app. Now, scenes could be saved for different lighting patterns. A basketball or volleyball game is lit differently than a graduation ceremony or a science fair. And that annoying buzz? Gone. The 400w Metal Halide lights in this gym buzzed loudly, flickered, took over 5 minutes to reach full brightness and required regular maintenance. Now, the lights are silent, steady, reliable, and instantly operate at 100%. As an added feature, they can now be dimmed by use of a remote dimming system. New SPORTSPARK in Edwardsville, IL. to be named Plummer Family Park ! EDWARDSVILLE, IL. 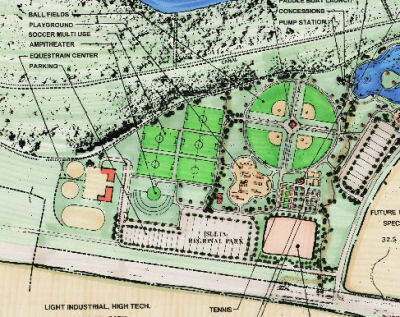 – Right on the heels of the groundbreaking for the City of Edwardsville’s new Spray & Play Park, the Edwardsville City Council last night approved the naming of a new sports park to be developed in Edwardsville – Plummer Family Park. The Sports Park is one of three parks that the City of Edwardsville is raising funds to develop as part of its A Better Place to Play campaign. 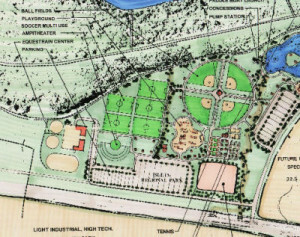 The state-of-art sports park will include multiple soccer, baseball and softball fields, an all-accessible field for those with special needs, pickleball courts, tennis courts, concessions and restrooms. The next steps in the development are to form a focus group to gather community needs for the specified sports listed. The two other parks include the Spray & Play Park and an Ice Hockey Rink/Teen Center. Officials broke ground just yesterday on the Spray & Play Park, which is expected to open Memorial Day 2016. The Spray & Play Park will also include a walking/fitness track for all ages, shade structures, pavilions and restrooms/changing stations. The Ice Hockey Rink and Teen Center will offer an indoor walking track, concessions, and a lounge area for home athletes and visiting teams to enjoy while using the facility. The Ice Rink and Teen Center, when funded, will be located off of Governor’s Parkway on District #7 grounds. Mayor Patton indicated that grant funding and sponsorships will make up a large percentage of the funds used to build the area parks, however area residents are being encouraged to make contributions to the projects by donating through the campaign website, either with lump sum donations or a pledge option. The campaign website is http://www.betterplacetoplay.com. For more information on major gifts, please contact Edwardsville Community Foundation at (855) 464-3223 or make a donation online at http://www.edwardsvillecommunityfoundation.org/. Donations may be mailed to Edwardsville Community Foundation to P.O. Box 102, Edwardsville, IL 62025. Please make a notation on your check that the funds are to be applied to the “A Better Place to Play” campaign. If you wish to support a specific parks project, please also notate the designated park with your donation. Those interested in learning more about the “A Better Place to Play” campaign can find information online at www.betterplacetoplay.com or call (618) 692-7538. “A Better Place to Play” can also be found on Facebook at www.facebook.com/abetterplacetoplay and on Twitter at www.twitter.com/BP2Play.